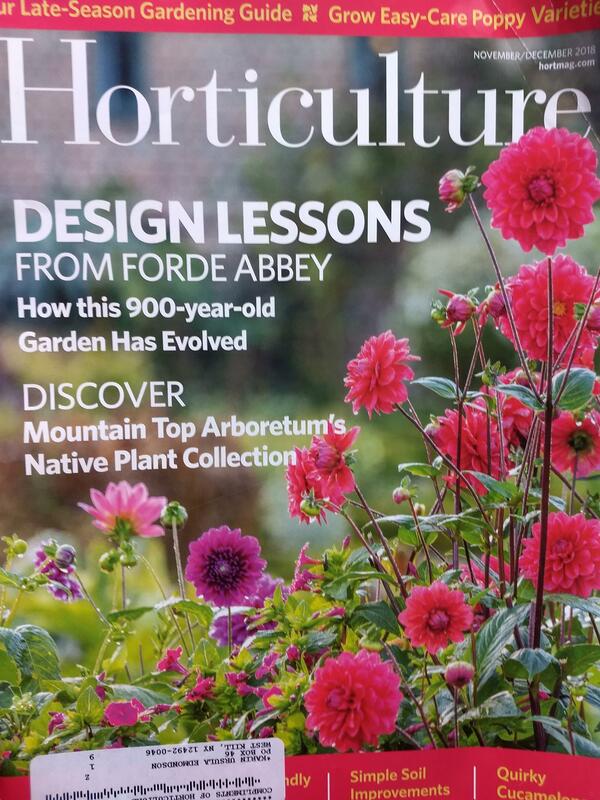 As a complete surprise, the Mountaintop Arboretum article was mentioned on the cover of the November/December issue. Everyone involved in the article – Arboretum Executive Director Marc Wolf, photographer Mark Loete and myself – was surprised at the cover shout-out. Mark Loete’s photos are beautiful. The layout is lovely. The article couldn’t be a better testament to the beauty of the Arboretum. Open from dawn til dusk every day, take the time and make the trip to visit the Arboretum. The issue is out now at select news stands. Also, available to order online at Horticulture.